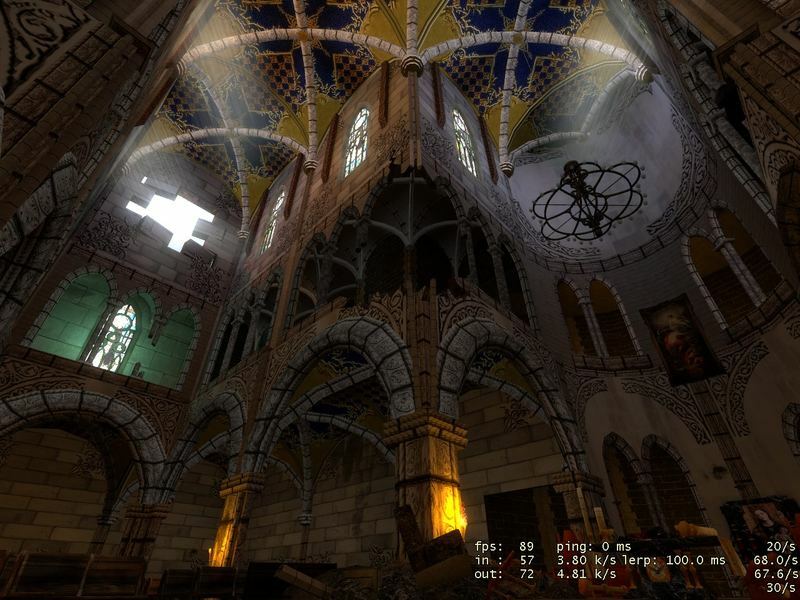 I have made serious progress on Cathedral architecture and now I will start on gameplay scripting. Moreover, this version will be used in trailer (flythrough already done) but we still need to capture action/combat parts with new crossbow. rest of screens You can find in Our media on Moddb. have you applied some sort of filter to your textures? kind of has that comic book feel to it! no, there isn't any filter on textures. It is just basic shapes and lot of manual work in photoshop. but seriously it looks nice I'm gonna watch this mod. Dude the mapping is just GODLIKE. Like Hendrix said, it kind of has 'that comic book feel' to it, something that I really like. I must say I'm very impressed with your mapping and texturing. Here's hoping the gameply will be just as superb. WOW, this mod is awesome! Beautiful! This mod looks promising, tracking! OH MY GOD!! !This is so amasing! 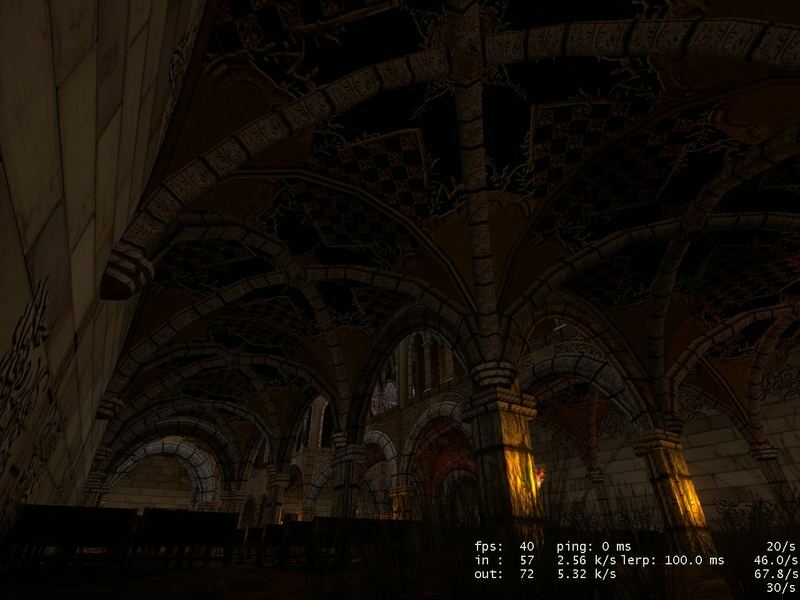 Incredible!, textures and lighting especially! Really nice work. I can tell that is a lot of hammer work/model work xD. Great work must have taken a little while to get all those brushs nice. Wow. I never thought a cathedral so beautiful could be made. Very nice work.